Cocaine is a potent stimulant that directly affects the central nervous system and can be very dangerous as a result. If you or a family member struggle with cocaine addiction, you should look into treatment options as soon as you can. Cocaine use in the UK has been steadily rising over the past few decades. In England and Wales alone, 371 people died from abusing cocaine during 2016. This is the highest its ever been, and the numbers are only expected to grow higher unless a solution is reached. What is cocaine and how does it affect the user? Cocaine is a powerful stimulant that causes users to experience a feeling of euphoria. Cocaine is most recognisable in its pure white powder form and can be smoked, swallowed, sniffed or injected directly into the bloodstream. No matter how it’s consumed, the moment it enters the body it infiltrates the bloodstream and makes its way to the brain. This is where the real damage begins to take place. 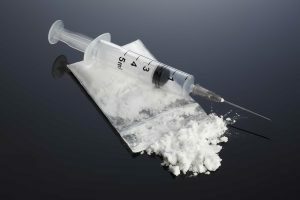 When purchased on the street, cocaine is very often diluted or “cut” with any number of other chemicals like detergents, amphetamines and silicon. Those who use this impure cocaine are even more at risk of developing cocaine addiction and overdosing, as there is usually no way to determine which hazardous ingredients are being ingested. Dopamine is a chemical in our brains that release when we experience something pleasurable. In other words, dopamine makes us feel good. The more dopamine in our system, the better we feel. Unfortunately, cocaine disrupts the brain’s ability to release dopamine. As users continue to abuse cocaine, the brain begins to adjust to the unnatural release of dopamine. Over time, heavy users will become increasingly immune to any form of pleasure and will require larger doses of cocaine to compensate. Brain damage may occur at some point, and the user may no longer be able to experience any form of pleasure without the use of cocaine. Individuals who reach this point often become hopelessly addicted to the drug. On top of potential brain damage, addiction can also lead to physical damage. Cocaine has the potential to disrupt the body tissues that it comes into contact with which can cause blood vessels to tighten and shrink. As a result, the tissues that rely upon these vital blood vessels may wither and die. Snorting cocaine can have especially dire consequences as it can lead to lesions, tumours and trauma to the nose, palette, and mouth. Those who swallow cocaine may experience intestinal issues. In severe cases, the intestines can become starved of blood and can potentially bunch up and block flow. They may even grow too thin and weak to function properly and may burst as a result. It can be difficult to identify someone who may be struggling with a cocaine addiction. In many cases, family members and friends only discover their loved one is struggling with addiction after they’ve been hospitalised. Because the drug is a stimulant, users tend to have boundless amounts of energy. They can work faster and harder than everyone around them, and they’re usually very peppy. However, this “peppiness” tends to have a certain unusual edge to it. The person may seem jumpy and a bit manic at times. Try to look out for these signs if you suspect someone of using cocaine. If you identify any of the following withdrawal symptoms and it’s suddenly replaced by boundless energy, there is a possibility that cocaine may be a contributing factor to that person’s behaviour. The first step to helping an addict is to voice your concerns. Let them know you’re worried about them and you’re there to help them. Tell them how their addiction is ruining the relationships around them and driving people away. Offer to help them find the professional help they need to get their lives back on track. Let them know they will always have your support through thick and thin. If they’re unreceptive to your offers to help them, let them know you will always be there for them and let them have their space. After all, you can only help those who want to help themselves. However, if they wish to receive treatment but don’t know what to do, we will be happy to refer to them to one of many qualified clinics that will aid them in overcoming their addiction. When you observe possible signs of addiction, you should take immediate action to ensure your loved one receives proper treatment. There are many programmes that can help individuals who seek liberation from cocaine addiction. If you or a loved one struggles with cocaine addiction, we can refer you to a professional clinic that has fully dedicated teams at the ready to provide help and support. These clinics staff psychiatrists, psychologists, doctors, support workers and therapists. Services include inpatient programmes that span from short-term to long-term care. Several programmes even provide housing projects that assist in long-term sobriety. There are many highly qualified drug rehab clinics spread across the UK that can help you or a loved one overcome your addiction. Remember, the first step to overcoming cocaine is the acceptance that you need help. Recovering from cocaine addiction isn’t easy. It takes a strong will and hard work to overcome the addiction. Cocaine can completely overwhelm your ability to think for yourself. It’s a disease that slowly eats away at your will to resist, and eventually, you become a slave to the drug. If you suffer from cocaine addiction seek the help you so desperately need before it’s too late. Cocaine Addiction- Cocaine production is one of the most violent and environmentally destructive industries on earth.